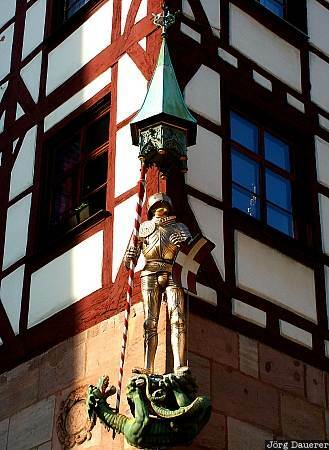 The statue of a knight at the corner of a house near the Imperial Castle of Nuremberg in northern Bavaria, Germany. This photo was take on a sunny day in April of 2003. This photo was taken with a digital camera.